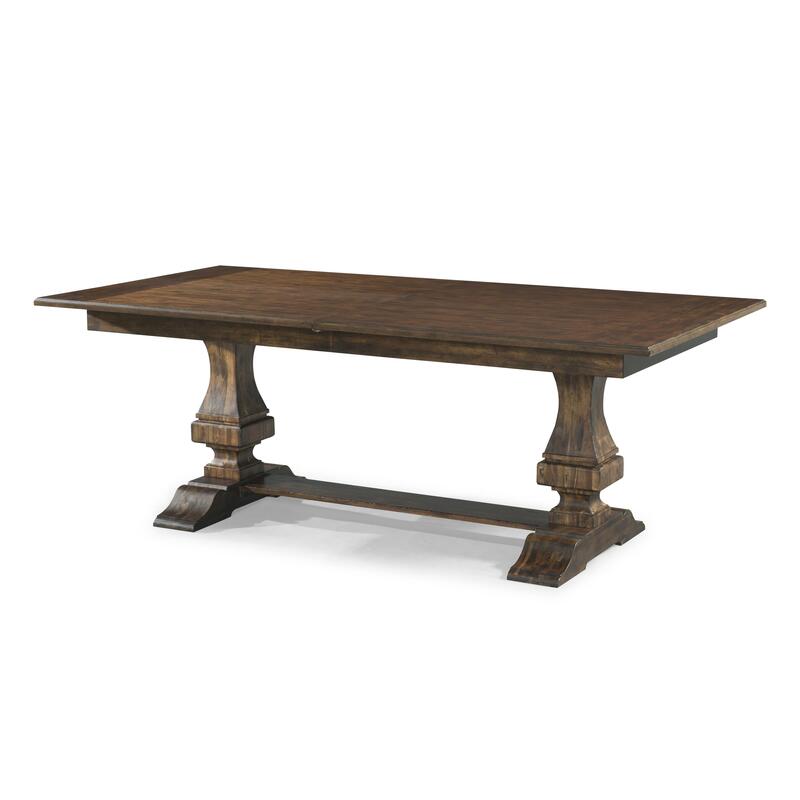 With room for the whole family to gather, this trestle table can help you create a dining room that is warm and welcoming. Sit down to eat a home cooked meal from this large rectangular table. The trestle base adds rustic style while the 18 inch leaf allows you to extend your seating and serving capacity. 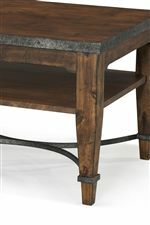 The Trisha Yearwood Home Trisha's Table by Klaussner at HomeWorld Furniture in the Hawaii, Oahu, Hilo, Kona, Maui area. Product availability may vary. Contact us for the most current availability on this product. Leaves One 18" leaf extends table from 84" to 102". Case Detail Bracket feet, crown molding and clean lines used throughout collection. 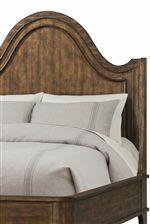 Bring the cozy farmhouse to your home with this rustic and charming collection from Trisha Yearwood. From the dining room to the bedroom you can find something that matches your style as well as function needs. Crown molding, warm wood finishes and simple details all come together to create a home collection perfect for your home that you love to spend time in. Seat your family or guests around a large dining table or update your bedroom with a set that features simply designed beds and high functioning storage pieces. From simple drawer pulls to fun lattice designs and patterns, these pieces feature style to keep your home fresh while also being timeless. The Trisha Yearwood Home collection is a great option if you are looking for Casual Cottage furniture in the Hawaii, Oahu, Hilo, Kona, Maui area. 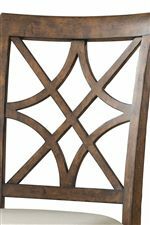 Browse other items in the Trisha Yearwood Home collection from HomeWorld Furniture in the Hawaii, Oahu, Hilo, Kona, Maui area.